Inouye, B.D., J. Ehrlen and N. Underwood. 2019. Phenology as a process rather than an event: from individual reaction norms to community metrics. Ecological Monographs in press. Merwin, A.C., N. Underwood and B.D. Inouye. 2017. Increased consumer density reduces the strength of neighborhood effects in a model system. Ecology 98: 2904-2913. Underwood, N. and B.D. Inouye. 2017. Pathways for effects of small-scale disturbance on a rare plant: how Mimulus angustatus benefits from gopher mounds. Ecosphere 8: e01838. McNutt, D.W., Samuelson, K., N. Underwood. 2016. 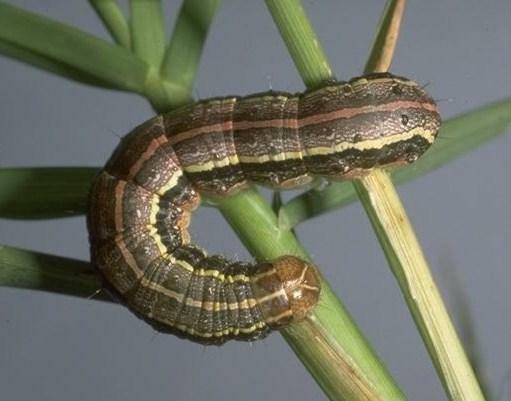 Pathways for plant-mediated negative feedback to insect herbivores: accounting for non-linear effects of larval density on plant quality and quantity. Entomologia Experimentalis et Applicata 162: 93-104. Anderson, K.E., B.D. Inouye, N. Underwood. 2015. Can inducible resistance in plants cause herbivore aggregations? Spatial patterns in an inducible plant/herbivore model. Ecology 96: 2758-2770. Grinath, J.B., B.D. Inouye and N. Underwood. 2015. Bears benefit plants via a cascade with both antagonistic and mutualistic interactions. Ecology Letters 18:164-173. Buchanan, A. L. 2015. Effects of damage and pollination on sexual and asexual reproduction in a flowering clonal plant. Plant Ecology, 216, 273-282. Underwood, N., B.D. Inouye and P.A. Hambäck. 2014. A conceptual framework for associational effects: when do neighbors matter and how would we know? Quarterly Review of Biology 89(1): 1-19. Hambäck, P.A., B.D. Inouye, P. Andersson and N. Underwood. 2014. Effects of plant neighborhoods on plant-insect interations: resource dilution and associational effects. Ecology 95: 1370-1383. Halpern, S.L., D. Bednar, A. Chisholm and N Underwood. 2014. Plant-mediated effects of host plant density on a specialist herbivore of Solanum carolinense. Ecological Entomology 39: 2017-2025. Kim, T. N. 2014. Plant damage and herbivore performance change with latitude for two old-field plant species, but rarely as predicted. Oikos, 123, 886-896. Kim, T.N., Underwood, N., and B.D. Inouye. 2013. Insect herbivores change the outcome of plant competition through both inter- and intraspecific processes. Ecology 94(8): 1753-1763. Buchanan, A.L. and N. Underwood. 2013. Attracting pollinators and avoiding herbivores: insect influence on plant traits within and across years. Oecologia 173: 473-482. Buchanan, A. L. 2013. Damage by Neochetina weevils (Coleoptera: Curculionidae) induces resistance in Eichhornia crassipes (Commelinales: Pontederiaceae). Florida Entomologist, 96, 458-462. Underwood, N. 2012. When herbivores come back: effects of repeated damage on induced resistance. Functional Ecology 26: 1441-1449. Underwood, N. and S. Halpern. 2012. Insect herbivores, density dependence, and the performance of the perennial herb Solanum carolinense. Ecology 93(5): 1026-1035. Grinath, J., B. Inouye, N. Underwood and I. Billick. 2012. The indirect consequences of a mutualism: comparing positive and negative components of the net interaction between honeydew-tending ants and host plants. Journal of Animal Ecology 81(2): 494-502. Underwood, N., S. Halpern and C. Klein. 2011. Effect of host-plant genotype and neighboring plants on strawberry aphid movement in the greenhouse and field. American Midland Naturalist 165: 38-49. Underwood, N. 2010. Density dependence in insect performance within individual plants: induced resistance to Spodoptera exigua in tomato. Oikos 119: 11193-1999 . Anderson, K.E., B.D. Inouye and N. Underwood. 2009. Modeling herbivore competition mediated by inducible changes in plant quality. Oikos 118: 1633-1646. Underwood, N. 2009. Effect of genetic variation in plant quality on the population dynamics of an herbivorous insect. Journal of Animal Ecology 78: 839-847. Hughes, A.R., B.D. Inouye, M.T.J. Johnson, N. Underwood and M. Vellend. 2008. Ecological consequences of genetic diversity. Ecology Letters 11:609-623. Tiffin, P., Inouye, B.D. and N. Underwood. 2005. Induction and herbivore mobility affect the evolution of plant defenses and herbivore counter defense. Evolutionary Ecology Research 8:265-277. Underwood, N., K. Anderson and B. Inouye. 2005. Induced versus constitutive resistance and the spatial distribution of insect herbivores among plants. Ecology 86:594-602. Schlessman, M.A., N. Underwood, T. Watkins, L.M. Graceffa, & D. Cordray. 2004. Functions of staminate flowers in andromonoecious Pseudocymopterus montanus (Apiaceae, Apioidae). Plant Species Biology 19:1-12. Hummel, N. A., Zalom, F. G., Miyao, G. M., Underwood, N. C., and A. Villalobos. 2004. Potato Aphid, Macrosiphum euphorbiae (Thomas), in tomatoes: plant canopy distribution and binomal sampling of processing tomatoes in California. Journal of Economic Entomology. 97(2):490-495. Underwood, N. 2004. Variance and skew of the distribution of plant quality influence herbivore population dynamics. Ecology 85:686-693. Underwood, N. and M.D. Rausher. 2002. Comparing the consequences of induced and constitutive resistance for herbivore population dynamics. American Naturalist 160:20-30. Underwood, N., M. Rausher and C.W. Cook. 2002. Bioassay versus chemical assay: Measuring the impact of induced and constitutive resistance on herbivores in the field. Oecologia 131:211-219. Underwood, N. and M.D. Rausher. 2000. The effects of host-plant genotype on herbivore population dynamics in a model system. Ecology 81:1565-1576. Underwood, N. 2000. Density dependence in induced plant resistance to herbivore damage: threshold, strength and genetic variation. Oikos 89: 295-300. Underwood, N., Morris, W.F., Lockwood, J.R., Gross, K. 2000. Induced resistance to Mexican bean beetles in soybean: variation among genotypes and lack of correlation with constitutive resistance. Oecologia 122:83-89. Underwood, N. 1999. The interaction between induced plant resistance and herbivore population dynamics. Pages 211-229 in A. Agrawal, et al. editors, Induced plant defenses against pathogens and herbivores: biochemistry, ecology, and agriculture. American Phytopathological Society Press, St. Paul, Minnesota. Underwood, N. 1999. The influence of plant and herbivore characteristics on the interaction between induced resistance and herbivore population dynamics. American Naturalist 153:282-294. Underwood, N. 1998. The timing of induced resistance and induced susceptibility in the soybean - Mexican bean beetle system. Oecologia 114:376-381.